Entries in the manufacturing protocols were made only days after the relevant activities had been conducted. Further, batches were released before all results were available. In particular the use of “rough notes” was criticised as these original data were completely destroyed after transfer in the batch records. Specifically HPLC, GC, and Karl Fischer Titrators were concerned. For instance, for the GC instrument multiple copies of raw data were found in the waste. And there was no password regulation for the data systems of HPLC and GC equipment, and there were no audit trail functions either. 3. There were no training protocols for the cGMP training of employees. Altogether there were great concerns about the authenticity and reliability of the data produced in this company. Thus the FDA requested a comprehensive CAPA plan within 15 working days upon receipt of the Warning Letter. For detailed information please see the full Mahendra Chemicals Warning Letter. Following the inspection, conducted by the inspectorate Italian, under the program of inspections of the EDQM, at the Indian site in question, the same was not “in compliance” with the GMP. It calls on companies to verify, with urgency, if the medicines containing the following active substances / intermediate production Dicloxacillin SODIUM, amoxicillin trihydrate, PIVAMPICILLIN, Flucloxacillin SODIUM, SODIUM cloxacillin, AMPICILLIN trihydrate, AMPICILLIN ANHYDROUS, Bacampicillin HYDROCHLORIDE authorized for the Italian market and / or products for export, showing this as a possible supplier of active / intermediate Officina Farmaceutica: PARABOLIC DRUGS LIMITED, PDL-2 – Plot No. 45, Industrial Area, Phase II, Panchkula District of Haryana, 134113 , INDIA . The communication must be sent only by all companies Holders of marketing authorizations or Officine pharmaceutical manufacturers of medicines containing these materials pharmacologically active / production intermediates produced at the Indian site in question. Each involved NCA should evaluate, following assessment conducted in conjunction with MAHs, if a recall of medicinal product is needed. Evaluation should take into account if there are alternative suppliers and potential risk of shortage. Given the nature of non-compliances, assessment should include a complete retest of all imported batches of active substance. Due to the nature of non compliances, prohibition of supply is recommended. Withdrawal of all CEPs is ongoing. The US FDA has warned Mylan about manufacturing concerns at three of its plants in India. In a warning letter to the generic drug manufacturer, the FDA said it had found ‘significant violations of current good manufacturing practice’ during inspections at the plants in August and September last year and in February this year. The inspections relate to Mylan’s Agila Specialty Formulation Facility (SFF), Sterile Product Division (SPD), and Onco Therapies Limited (OTL) sites in Bangalore. Recently the Food and Drug Administration (FDA) began ramping up inspections of offshore manufacturing facilities and the results are shocking. Although cGMP violations have been found worldwide, experts are particularly worried about drugs made in China and India. Earlier this month the FDA cited three facilities in Bangalore, India that manufacture drugs for Mylan. Headquartered in the U.K., Mylan is the second largest generic and specialty pharmaceutical company in the world. With approximately 30,000 employees worldwide and revenues of $7.72 billion (USD), Mylan certainly qualifies as big pharma. The FDA says it inspected three of Mylan’s Indian plants between August of 2014 and February of this year. It found “significant” cGMP violations at all three facilities. cGMP standards are in place throughout the manufacturing process to insure the potency and quality of the finished pharmaceuticals. The FDA wants to insure that there are no contaminants in the finished product as well as insuring the finished product is neither stronger nor weaker than advertised. 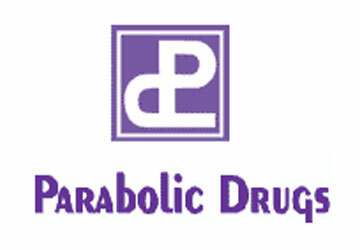 As a result of the inspections, the FDA concluded a likelihood that the finished drugs from all three plants were adulterated. Those findings are certainly bad news for consumers. It’s also bad for physicians as well. It’s hard for doctors to get dosages correct or monitor for side effects if a drug has inconsistent potency or the presence of contaminants. At least one of the facilities had similar violations dating back to a 2013 inspection. The FDA declared that continued noncompliance could result in drugs from these facilities being blocked from importation and distribution within the United States. Mylan has had previous problems with U.S. regulators. In 2000 Mylan paid a $147 million fine to settle charges that the company raised the price of generic lorazepam by 2,6000% and generic clorazepate by 3,200%. The FTC had charged that the company raised the price of lorazepam, the generic equivalent of the brand name antianxiety medication Ativan, from $7 per bottle to $190. Although Mylan agreed to the payment of the fine, it denied any wrongdoing. Only the FDA can punish drug companies for cGMP violations but if there is proof of an adulterated product entering the commerce stream, the federal False Claims Act can come into play. That law allows private individuals to file a lawsuit against a wrongdoer and receive a percentage of whatever is recovered by the government. Last year the Justice Department paid $635 million in whistleblower awards under the False Claims Act. Whistleblowers in cGMP cases have received tens of millions of dollars. Dinesh Thakur, a former Ranbaxy executive, received $48 million for information about adulterated generic drugs. Compared to herbal medicinal products (HMPs) there is a simplified registration procedure for traditional herbal medicinal products (THMP). EMA’s HMPC (Committee on Herbal Medicinal Products) published the draft of revision 2 on the use of the CTD format in the preparation of a registration application for traditional herbal medicinal products on 10 March 2015. This guideline contains instructions on how to prepare a CTD for a registration application of traditional herbal medicinal products. Now, there is a new annex 2 with a mock-up which shows by means of a concrete example where and to what extent information should be given on traditional herbal medicinal products in the dossier. Appendix 1 is a best practice guide for module 3 on quality. For further information please see the complete draft revision 2 of the “Guideline on the use of the CTD format in the preparation of a registration application for traditional herbal medicinal products” comprising more than 151 pages together with all annexes (!). The EudraGMP database was originally launched in April 2007 and is used to exchange information on compliance with the Good Manufacturing Practices (GMP) between the relevant regulatory authorities of the EU Member States – including Iceland, Liechtenstein and Norway. Since January 2011 the data of all national authorities can be accessed. Further, since April 2013 the database also contains information about GDP, why it is referred to as Eudra GMDP database now. The database comprising the reports about deficiencies found in inspections by the European authorities – the “non-compliance reports” or, officially, “statement of non-compliance with GMP” – was extended by three reports last week: two of these reports related to Chinese firms, one report to a company in India. The inspections were conducted by inspectors of the Italian authority. The inspection of the Indian site (antibiotic APIs) revealed that samples, materials and documents were stored improperly. The falsification of data and documents was found. At one of the two Chinese manufacturers who also produces an antibiotic API, inspectors were also not allowed to access an apparently uncontrolled storage area of raw material and finished products – which they estimated as high risk in terms of data falsification. In the second inspected Chinese manufacturing facility (sterile active ingredient manufacture) inspectors objected to especially high risks with regard to contamination (inadequate clothing of workers, no monitoring of the differential pressure between spaces of different purity classes, no precautions to avoid contamination during the transfer of the sterile active substance between different containers etc.). 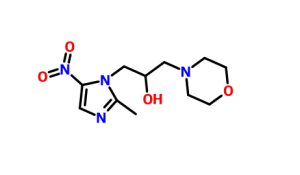 Morinidazole was approved by China Food and Drug Administration (CFDA) on February 24, 2014. It was developed and marketed as a step Lingda ® by Hansoh Pharmaceutical. Morinidazole is a nitroimidazoles antibiotic indicated for the treatment of bacterial infections including appendicitis and pelvic inflammatory disease (PID) caused by anaerobic bacteria. 1- (2,3-epoxypropoxy yl) -2-methyl-5-nitro-imidazole (10g), morpholino (10g), 100ml of acetonitrile under reflux for 2 hours, vacuum recovery of acetonitrile, water was added 100ml, heating to the whole solution, filtered hot, let cool, filtering, washing and drying to obtain an off-white solid (11g).